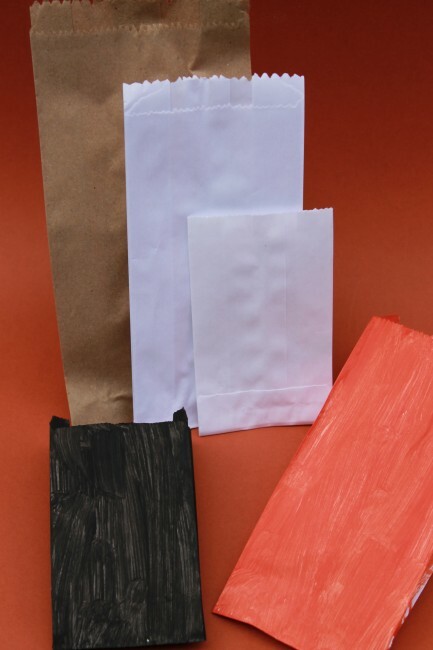 One of my favorite things to do for party favors or class parties is to dress up a plain paper bag and make it look cute. 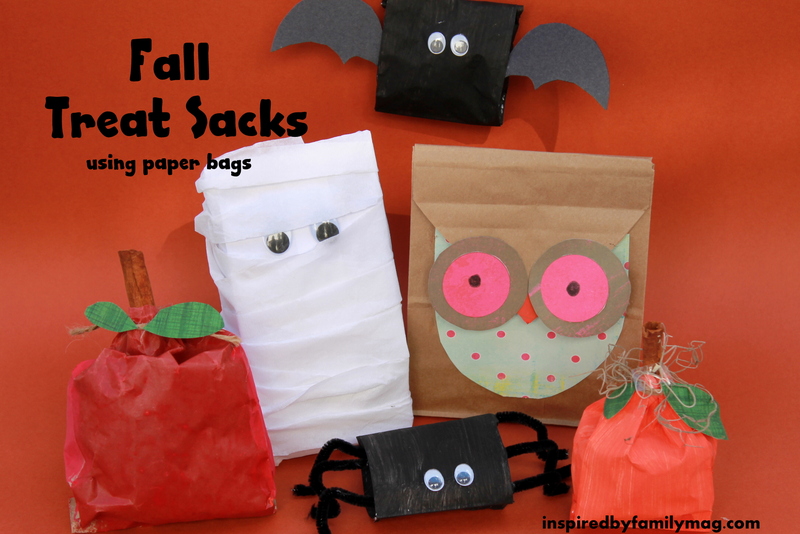 Here are some fun ideas for Fall paper bag crafts. If you are a teacher these are inexpensive little treats you can give your students or for parents who want to give Halloween or Fall treats to their child’s class. 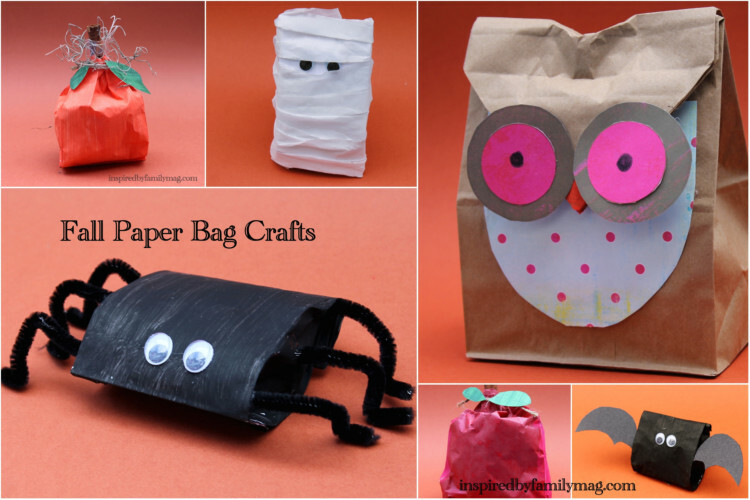 Your child or student will love creating these! If you are new here and you don’t want to miss our fun post follow us via Facebook, Twitter or email. I used two methods to color my bags (you can buy them already colored) the first was spray painting and the other is paint brush painting. I liked how fast and easy spray paint was to work with but I didn’t have all the colors I needed so I ended up just using a paint brush to paint my bags. Each bag took on its own form so some required different supplies after I painted them. Set newspaper on your work space and paint each bag. 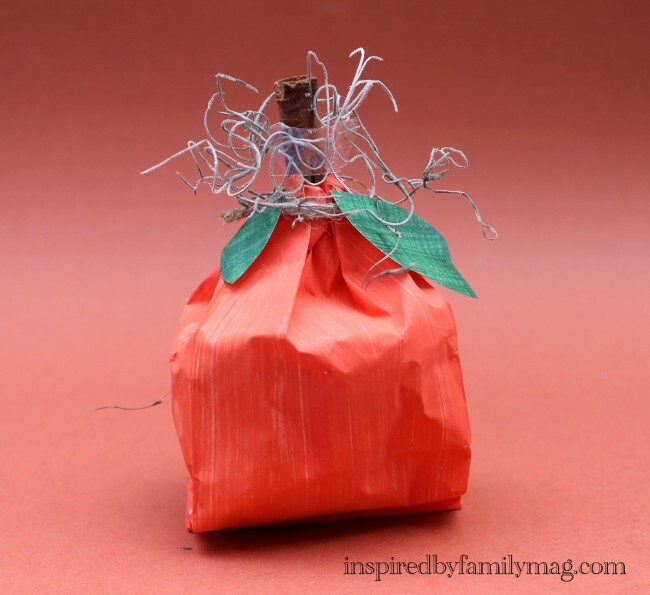 Pumpkin– You will also green construction paper, twine to tie bag and Spanish moss. 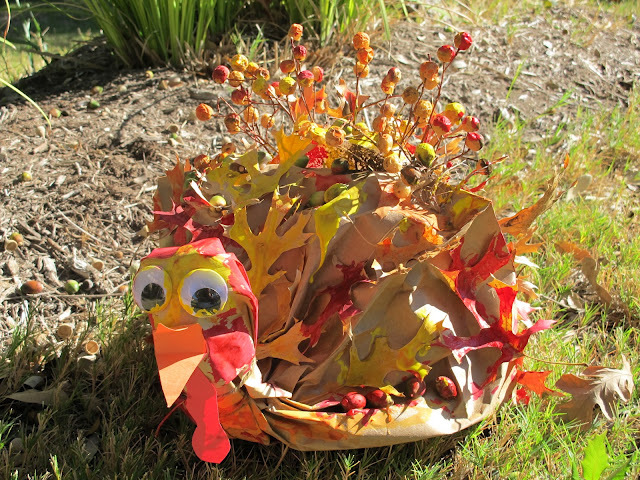 Turkey– This craft was featured in the Celebrate Fall Issue for 5 Nature Inspired Crafts. You will need a large paper bag, leaves and all sorts of other nature findings, paint and glue. Rebekah from The Golden Gleam did an amazing job with this fun Turkey Craft. 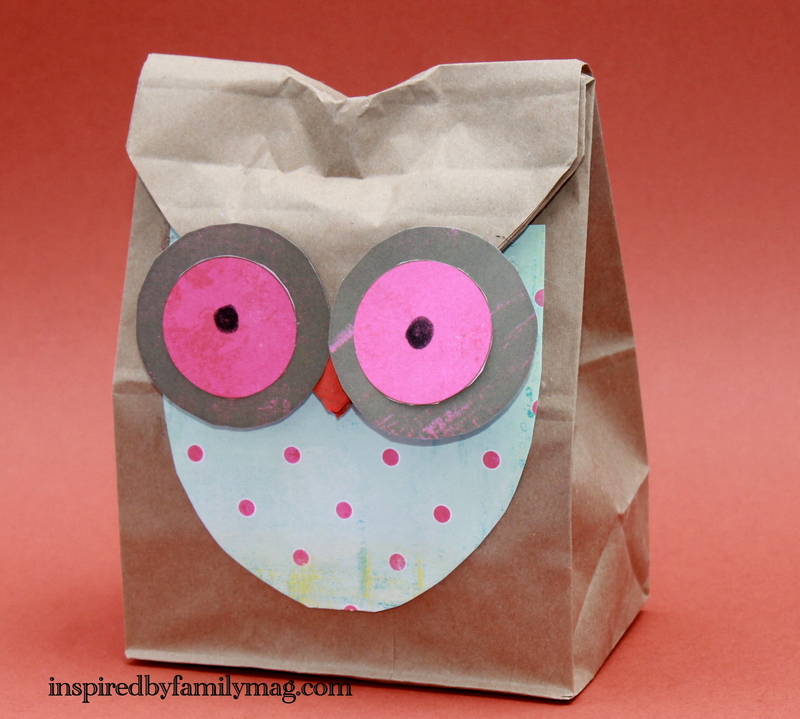 Owl– You will need fun paper and orange paint. Fold the bag down and cut an upside down triangle. Paint the point of your triangle orange for the beak. Glue eyes to the triangle. Cut half an oval from your fun paper for the chest. Apple– You will need cinnamon stick for the stem, green construction paper and twine to tie around the end. 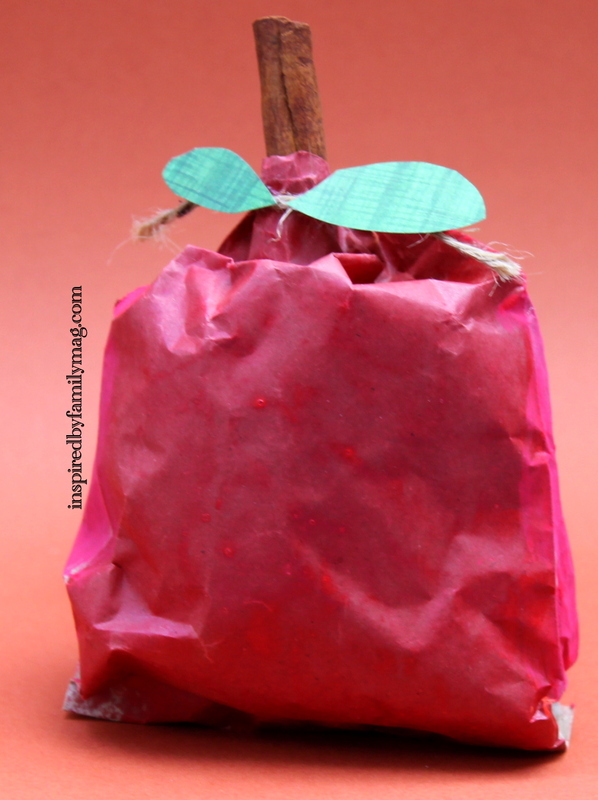 I was inspired by Brandy from Gluesticks and Gluesticks Paper bag Apple Orchard in the Celebrate Fall Issue. Hers are much cuter then mine so you should go check them out. For the Halloween Treat bags stop by here for the details! I rarely comment on the blogs that I read, but I had to comment on this post- those bags are adorable. I LOVE the turkey; it is seriously so cute. This is a really creative idea and I can’t want to try it with my younger cousins. I post some DIY stuff too on my blog, I am mainly a jewelry designer, but I have developed an interest in other crafting- I’d love for you to check it out! Thanks for sharing! We had fun making them. By the way you have beautiful jewelry over on your site. Blessing on your blogging journey! These are just too cute! Such a fun project for the kids! I love every single one of these!!! So creative: Just posted on Craft Gossip! !